MP Filtri suction filters are used as safety filters to protect pumps from gross contamination which can cause them to stick. MP Filtri return filters are used as process and safety filters to protect pumps and hydraulic circuits from contamination as per ISO 4406. MPF semi-immersed filters for mounting to the oil tank with external/internal filter element. 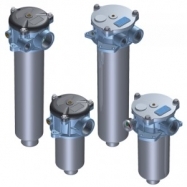 MPT semi-immersed filters for mounting to the oil tank with external/internal filter element. MPH/MPI semi-immersed filters for mounting to the oil tank with external/internal filter element. 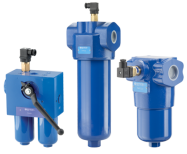 FRI semi-immersed filters for mounting to the oil tank or in-line, available in the single or duplex versions with external/internal filter element. The FRI version can also be used as an in-line filter for forced lubrication or off-line systems. 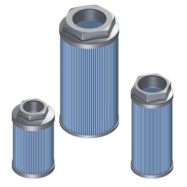 MP Filtri high pressure filters are used as process filters to protect individual valves or the entire hydraulic circuit from contamination as per ISO 4406. In-line, with threaded and flange mounts. Manifold mounting, to DIN 24340 CETOP R 35 H.
Manifold threaded/flange mounting in the top extraction filter cartridge version. Duplex versions for continuous operation requirements. 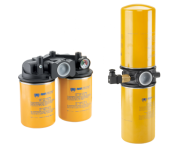 MP Filtri tank filler and breather filters are used for the filtration of the incoming air to the tanks of hydraulic systems and for filling the oil on the hydraulic tank. 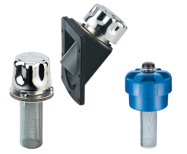 Available in versions with: threaded connection, welded and flange mounting with screws. 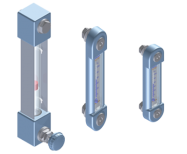 MP Filtri visual level indicators of fluid for hydraulic tank. 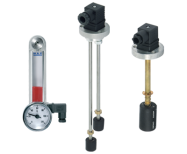 MP Filtri electrical level switches/indicators of fluid for hydraulic tank. It is estimated that 70-90% of all component failures, and 45% of bearing failures in a hydraulic system, are due to contamination of the hydraulic fluid. If left unchecked, it could cause damage to expensive components, leading to costly downtime for your system. 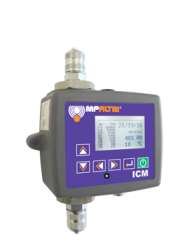 MP Filtri oil-sampling, particle analysis, and in line contamination monitoring are some of the many ways you can check the health of the fluid in your system, and catch potential contamination issues before they cause damage. Please review the MP Filtri Fluid Condition Handbook for more information on how to keep your system in top condition. Particle contamination is the biggest risk to your hydraulic system. Flushing is used to clean pipes and hoses in a system by pumping oil through them at flow rates high enough to cause turbulent flow. The turbulence helps dislodge any dirt particles that may be present in the lines. MP Filtri rigs can also be used as off-line filtration systems, whereby the system is completely filtered when not in use or at periodic intervals as part of a standard maintenance schedule. 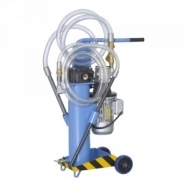 These rigs can be supplied with in line contamination monitors, allowing the operator to achieve and maintain a desired cleanliness level for the system.